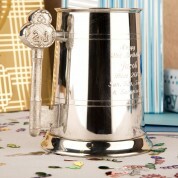 This unique beer tankard will make a perfect gift for any male or female who loves beer. 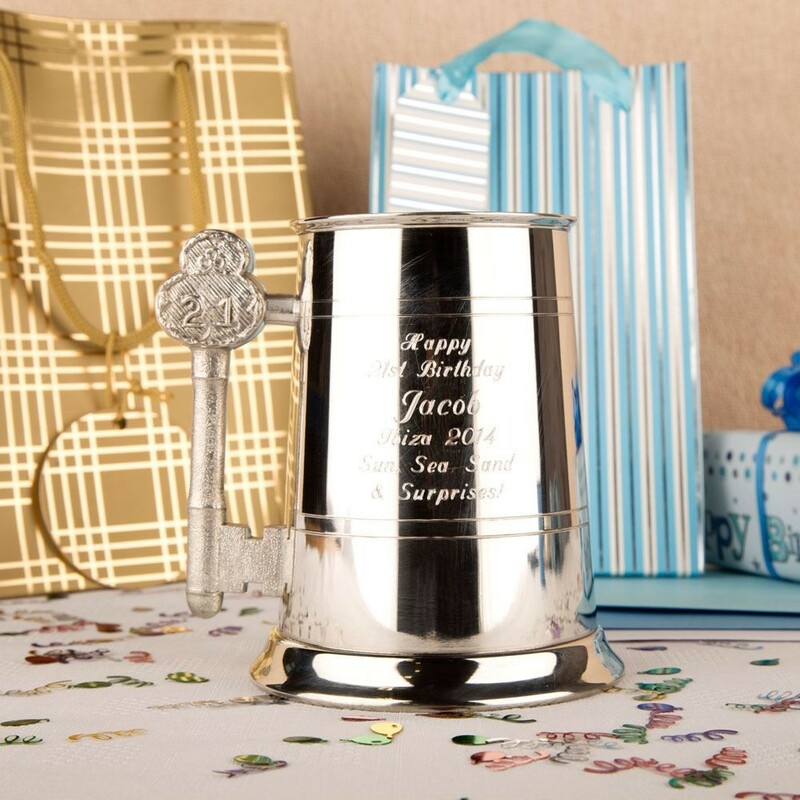 This traditional and popular gift features a 21st Birthday key handle so is easy to carry from the bar to your seat (or the kitchen to your sofa). It is large enough to carry 1 pint of their preferred drink inside. 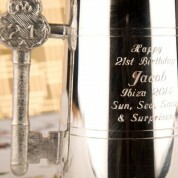 Your personal message is rotary engraved on the front in house so is custom made for each individual. 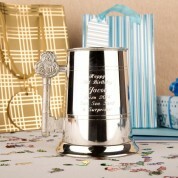 This pewter tankard can be used at a 21st birthday party or family dinner celebration or kept for other special occasions. It would look great stored on a book shelf or on top of a chest of drawers set in his bedroom and would be kept for many years to come.